The Rage Spell is the third spell in the Spell Factory and one of the most important parts of your game. We always use it for boosting our troops speed and damage. 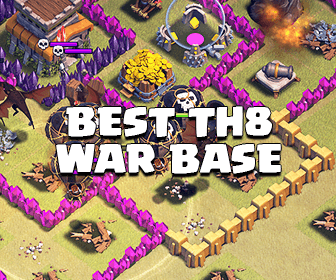 But do you really know where is the best time to drop it and what are the best troops we should use with Rage Spell? With these useful tips, you will be a master of Rage Spell! Choosing a right place to drop your Rage Spell is very important. Always drop it on the place your troops are going to, don’t place on the place your troops currently stay. Doing this to make use of the lifetime and activity of the spell because by the time you drop the spell. Never drop the spell too far from your troops because If your troops are killed before going there, you will lose a spell for nothing. The most effective placement to drop the Rage Spell is 3-4 tiles (1 building) toward, where your Troops will stay after a few seconds. Normally we use Rage Spells while attacking the second layer and the core of the base with all core defensive structures to take them down as soon as possible. By using Rage Spells with Healing Spells, your troops will be more durable. Because of its ability, we should just only use Rage Spells with troops which have slow movement and attacking speed such as P.E.K.K.As, Balloons, Dragons, Giants,.. Because they have very high damage, if they have the effect from the Rage Spell, they can deal incredible damage. With level 5 Rage Spell, a P.E.K.K.A level 3 can destroy a Town Hall within seconds. 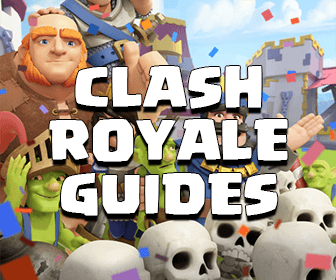 Never use Rage Spells with troops which have fast movement speed and move continuously such as Hog Riders. The Rage Spell doesn’t stack with the ability of the Barbarian King. The Rage Spell’s activity is the same as Healing Spell’s. Your Heroes will grow to twice their original size. If they swoon when in the spell’s ring, they will still appear with the new size until the end of the match. When you drop a Rage Spell, you can hear a “roar” sound. Do you have any other tips and tricks about Rage Spell want to share? Fell free to comment and tell us your opinion!